Shop online for 180 echelon plastic models at discounts up to 46%. This is the 1/35 Scale US 3rd Inf Div M1A1HA Abrams Part 2 Decals from Echelon Decals. 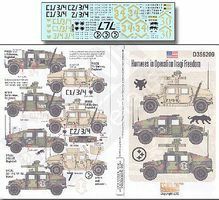 This is the 1/35 Scale Humvees in Operation Iraqi Freedom Details from Echelon Decals. This is the 1/35 Scale USMC M1A1HA Abrams OIF Pt.2 (Re-Issue) Decals from Echelon Decals. This is the 1/72 Scale PzKpfw VI Ausf E Tiger I Decals from Echelon Decals. 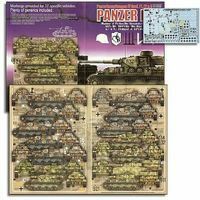 This is the 1/72 Scale Panzer IV Ausf F1/F2& G PzGrenDiv GD, 18PzAbt Das Reich 6/ & 9/PzRgt15 of 11 Decals from Echelon Decals. 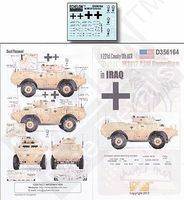 This is the 1/35 Scale 1-221st Cavalry 11th ACR DAK M1117 ASV Guardian Iraq Decals from Echelon Decals. This is the 1/35 Scale USMC M1A1HC Abrams Pt3 Decals from Echelon Decals. 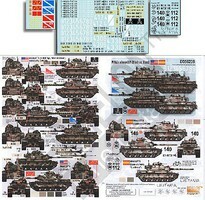 This is the 1/35 Scale US 3rd Inf Div M1A1HA Abrams Part 1 Decals from Echelon Decals. This is the 1/35 Scale Road & Traffic OIF Signs Decals from Echelon Decals. This is the 1/35 Scale Char B1bis Tanks (Re-Issue) Decals from Echelon Decals. This is the 1/35 Scale M1A2 Tusks Gremlin/Ghetto Blaster II in Iraq Decals from Echelon Decals. 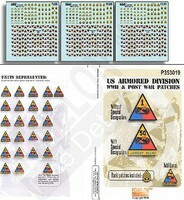 This is the 1/35 Scale US 4th Inf Div M1A2 Abrams Pt2 Decals from Echelon Decals. This is the 1/35 Scale BT7 Model 1937 (War Hero) Decals from Echelon Decals. This is the 1/35 Scale M3 Med Lee & Grant Decals from Echelon Decals. 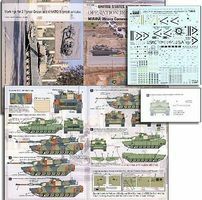 This is the 1/35 Scale RCAC & RCD Gagetown Leopard Tanks Details from Echelon Decals.